The Fredric Jameson Gallery on Duke’s East Campus Quad will host THE UNKNOWN SOLDIER exhibit. 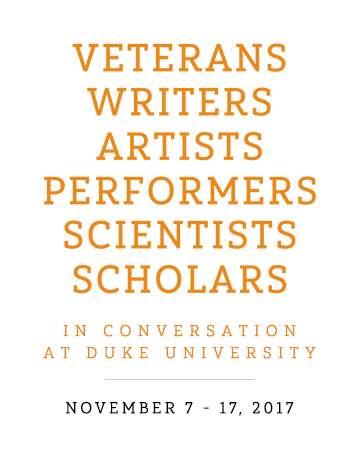 The IN/VISIBLE WOUNDS speaker series of events will be held either in the gallery space itself or at the Forum for Scholars and Publics on Duke’s West Campus Quad. The Fredric Jameson Gallery is located on the first floor of the Friedl Building on Duke’s East Campus Quad. Free, two-hour parking is available adjacent to East Campus along N Buchanan Boulevard. There are also several metered parking spots available on a first-come, first-serve basis as you turn into East Campus from Main Street. The parking lots off of Epworth Lane (reached from Buchanan Blvd) should have many available spaces after 5:00 pm, and are open to the public in the evenings and on weekends. 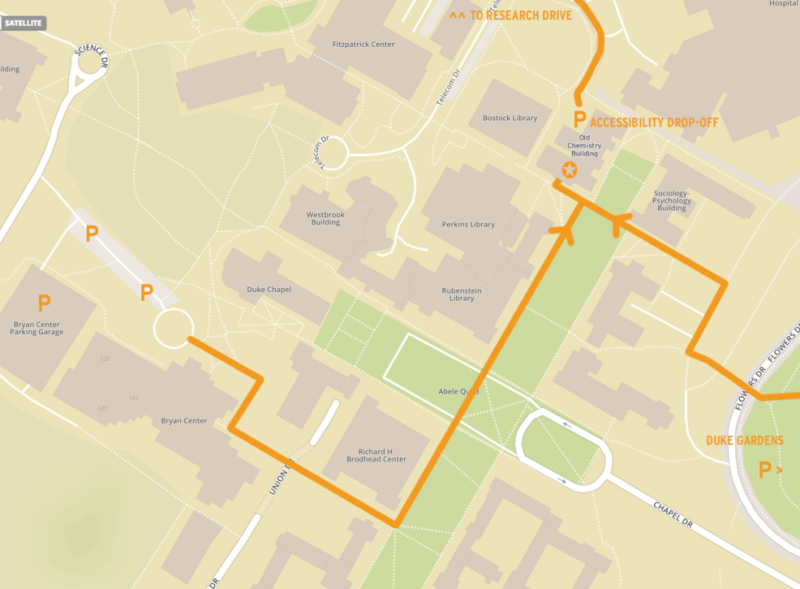 If you require accessible parking during scheduled events, there are a limited number of disability accessible spaces in front of White Lecture Hall. If you would like to be dropped off, please enter East Campus from Main Street and proceed to the bus stop area between the Jarvis/Aycock Quad and the East Campus South Quad. 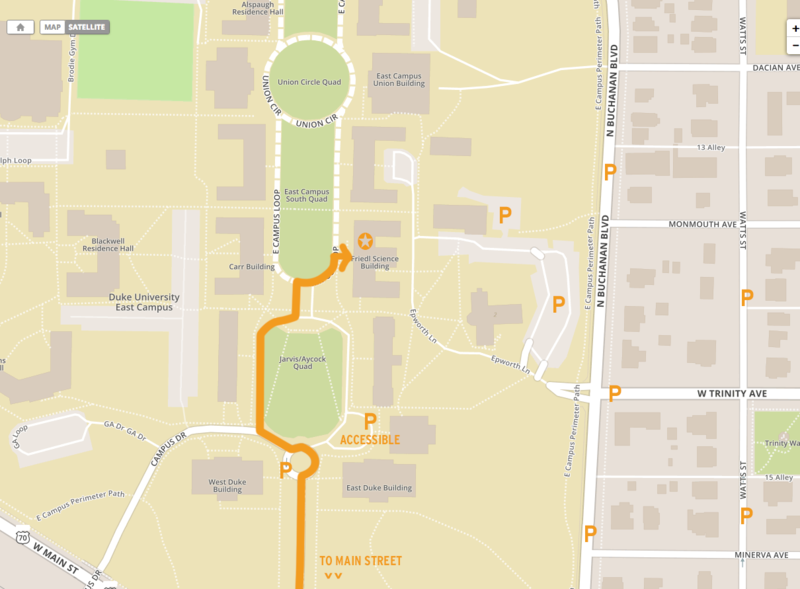 During scheduled events, a security guard will be located at the entrance of the South Quad to guide you. The Friedl Building, which houses the Jameson Gallery, will be the first building on the right as you enter the South Quad. The Forum for Scholars and Publics is located in Room 011 of the Old Chemistry Building on Duke’s West Campus Quad. Convenient parking is available at the Sarah P. Duke Gardens and the Bryan Center. For drop-offs, there is a loading dock and ramped entry behind the Old Chemistry Building that is accessible from Research Drive. If you require accessible parking, please contact Margaret Lou Brown at scholarspublics@duke.edu or (919) 660-3058 to make arrangements. Get detailed parking and walking instructions to the Forum for Scholars and Publics HERE.